You will be given a reference e-book to read which has 470 pages And the test will be based on that e-book , you can take final test within 1 year of purchase. A business strategy can be defined as a long-term action plan which is primarily designed to help a business owner achieve a specific goal or a set of objectives. Anyone who decided to earn their business strategy certification knows exactly how to formulate effective strategies that can work in strengthening the performance of an organization. A business strategy is also capable of showing how a business should be operated in order to generate desirable results. Without business strategies, it will be difficult for the management of an organization to work in improving its performance and profitability. If you want to take up a business strategy course, then you should keep in mind that establishing business strategies is one of the central functions of the management of a business. However, it is important for you to keep in mind that even if you establish a good strategy and you execute it in the most efficient manner possible, there is still a great chance that you will fail. This is due to unforeseen and adverse conditions that may strike the organization which you are a part of. As an aspiring business strategist, it is important for you to hone your skills in dealing with such adverse situations to ensure that all the strategies that you have created continue to work for the betterment of an organization. If you desperately want to receive your business strategy certification, then it is also important for you to learn how to create motivating, change-stimulating and informational business strategies as these can help in maintaining the good performance of an organization. You should also remember that a good strategy is that which is capable of improving the earning potential of a business. The business strategy certification program offered by Brainmeasures is ideal for you if you have longed to learn the ins and outs of developing strategies for an organization. With the help of the comprehensive training and learning materials provided by Brainmeasures, you will learn more about how to develop business strategies and how to apply them in your projects with an aim of improving their performance. 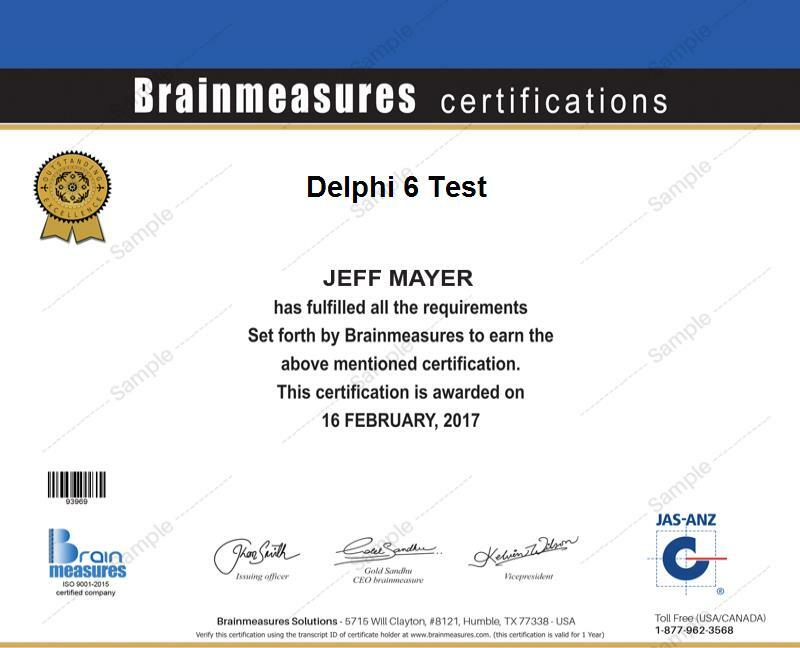 You also have a hundred percent guarantee that the program offered by Brainmeasures can work in shaping you into a better business strategy certification expert since it also requires you to take and pass an online exam which is primarily designed to test your knowledge about the industry. With the help of this reputable online certification company, your chances of becoming the best business strategist in the industry are increased. Anyone who desires to improve his skills in creating business strategies can enroll in the business strategy certification program offered by Brainmeasures. But the program is more useful for business managers and leaders who are responsible for the development and execution of business plans and strategies and in formulating business decisions. Holding a business strategy certification increases the level of your knowledge when it comes to creating effective business strategies. This will allow you to hold important positions in an organization. Because you will be holding important positions, you can also expect to notice a huge increase in your annual salary. This will range from $49,000 to $166,000.